The Page Builder feature allows you to easily design and customize your exhibits, pages, or posts that use shortcodes to embed your objects. To get to the Page Builder, you must first click on “Add New Page” or “Add New Post” from the Dashboard sidebar. 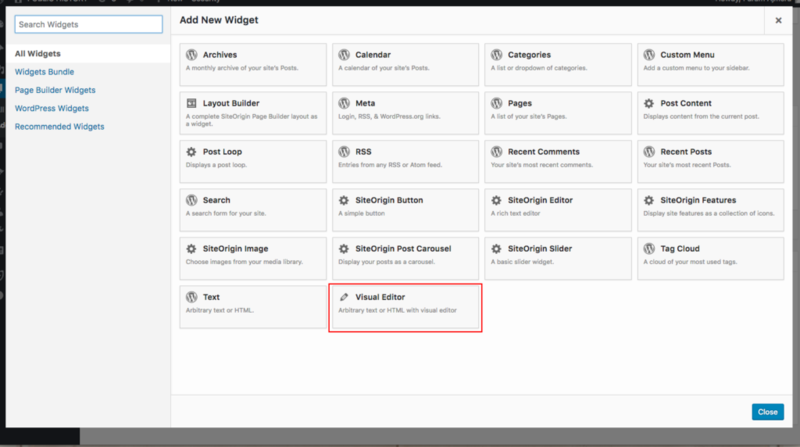 You can also access the Page Builder by editing pages/posts that you have made before. Once you are in the Add New Page/Post screen, you must select the “Page Builder” tab on the far-right (it is next to the “Visual” and “Text” tabs) above the text box. The “Add Row” option allows you divide the page/post into a number of different rows and columns of customizable sizes. Upon clicking “Add Row,” you can specify the number of columns this row has by changing the number in the “set row layout” field, you can specify the relative size of each column by selecting an option in the “columns with ratio of” field, and you can change the order of each column by selecting an option in the “going from” field. Once you have your desired layout for this row, click on “Insert” in the bottom right of the screen to put it on your page/post. Adding more rows is as simple as clicking “add row” again. You may embed DRS items into the individual cells that you have created using the “add row” function by clicking on the newly created blank cell and adding a Visual Editor widget to the cell. You may change the layout of a row you have created by mousing over the wrench icon in the upper-right hand corner and choosing “Edit Row.” Here, you may also duplicate and delete rows. You may reorder any rows you have created by dragging and dropping them. The Visual Editor widgets you have created may similarly be dragged and dropped between cells. The “Add Widget” option allows you add content. After selecting a particular row or cell, which will highlight in a darker blue, clicking “Add Widget” will prompt you to choose a specific widget from a number of different options. In order to add specific items from the DRS or the DPLA, scroll down and choose the “Visual Editor” widget. To add specific items from the DRS, scroll over to the top right of the space inside your row and you will see a new option called “edit” appear. Once you click on “edit” a new window with the “Visual Editor” will appear. 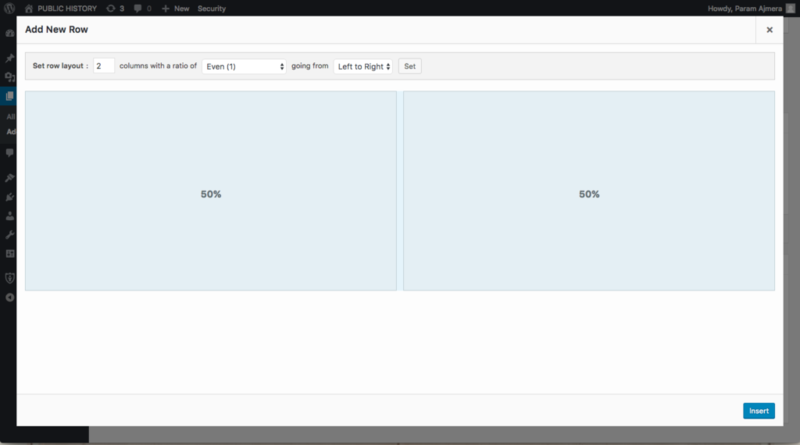 The “Layouts” tab allows you to “clone” the layout of individual pages/posts you have already created. The “History” tab allows you to see all the changes that you have made to this page/post in chronological order. The “Live Editor” tab allows you to see and make changes in your page/post from the perspective of an outside viewer who visits your website. If you would like to clear your Page Builder content and return to the simpler editor, click “Revert to Editor” on the far right, then select “Yes.” Be sure to save before you do this if you do not want to lose your work.